White Lincoln is the epitome of class, and it’s one of the best examples of style. You can never beat its timeless beauty and understated elegance. The great news is you can already ride it. 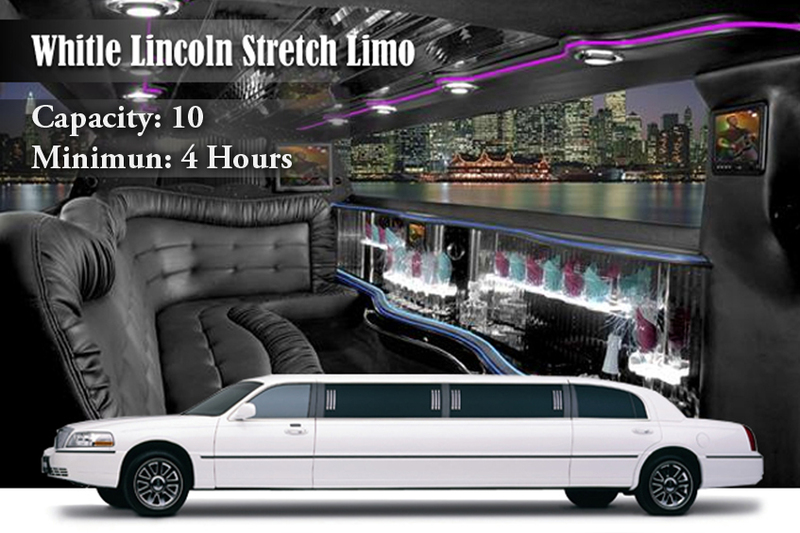 Our White Lincoln stretch New York Limo Services can be used for weddings, proms, sports events, casino trips, and airport and hotel pickups and drop-offs. This is definitely the car you want when you are attending a very important meeting where you’re about to close a million-dollar deal. This is also perfect for corporate events! When you have some hardworking employees, they sure deserve some luxury like a few hours or days around New York on-board a very sophisticated vehicle like our White Lincoln stretch limo. But this is just half of what we offer. The other is our exceptional customer service that includes a personal greeting at the airport and drop-off and pickup in many destinations around NYC.